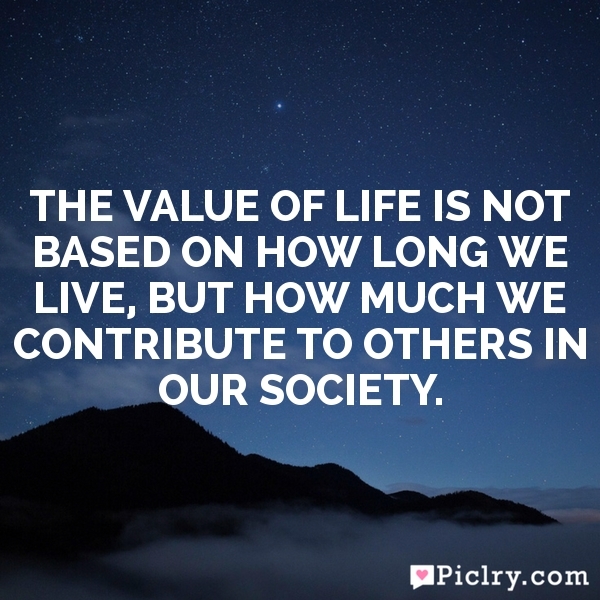 Meaning of The value of life is not based on how long we live, but how much we contribute to others in our society. Darkness does not leave us easily as we would hope. you don’t have to be happy to spread happiness.